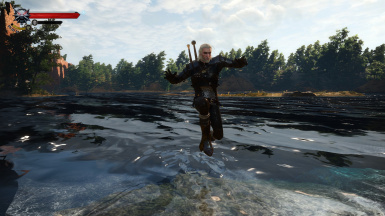 You can now jump when in shallow water! Updated for TW3 version 1.30/1.32. Should work with GOTY let me know of any issues. I doubt this needs one. 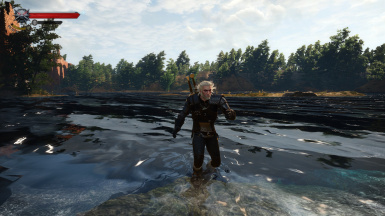 You couldn't jump when in shallow water before, now you can. Haven't tested it extensively so there might be some unexpected behavior. If you have another mod that modifies those same file you can use script merger to sort it out.